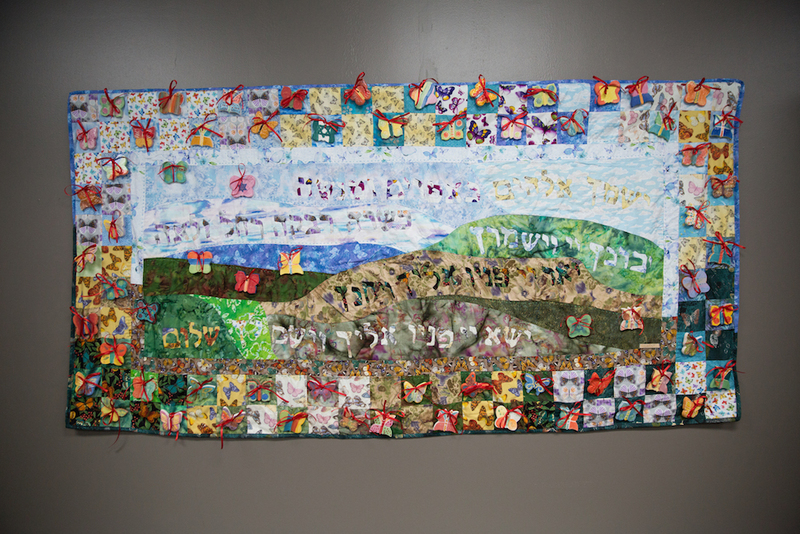 The Butterfly Project was co-founded in 2006 at San Diego Jewish Academy by educator Jan Landau and artist Cheryl Rattner Price as a new approach to teaching the Holocaust that is engaging, accessible, hopeful, and profound. The project was inspired by the book I Never Saw Another Butterfly, a collection of art and poetry created by children imprisoned in the the Terezin/Theresienstadt concentration camp, the butterfly an everlasting symbol of hope and transformation. The Butterfly Project began as an initiative to create and display a total of 1.5 million butterflies in cities around the world, one for every child murdered in the Holocaust and to honor the survivors. Through education and hands on artistic programming, students are empowered to remember the past, act responsibly in the present, and create a more peaceful future. Proudly collaborating with many Jewish and Non-Jewish organizations, we are a grassroots-gone-global project with installations totaling nearly 180,000 butterflies in communities across the United States and in countries including Israel, Poland, Czech Republic, Australia, Mexico, Argentina, and Uruguay. Working with Cheryl Rattner Price in San Diego, with generous support from the Lipsman Family, the Holocaust Center began to paint butterflies, starting with a program for Holocaust survivors in June 2016. We quickly saw the potential of the project for groups of all ages and backgrounds. Twenty schools and organizations painted 875 butterflies to be added to the count in San Diego. 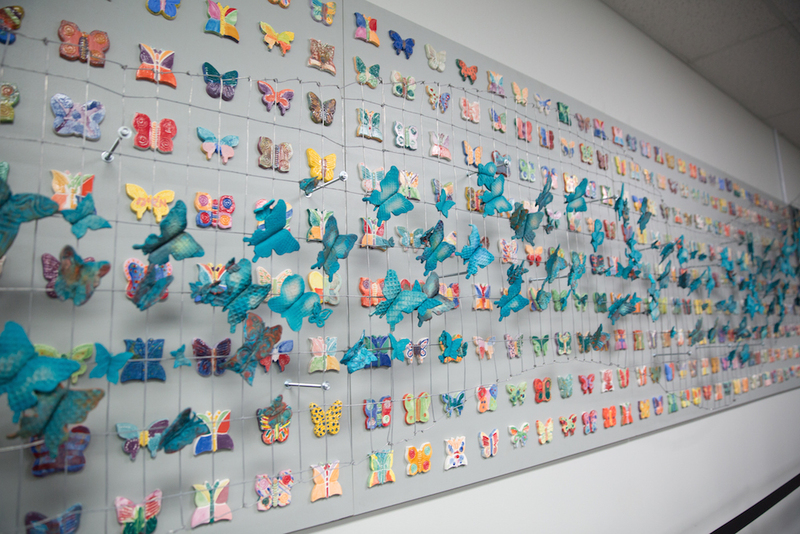 One hundred of the butterflies are on display at Community Day School, a partner on the project, and the remainder are included in two exhibits at the Holocaust Center. We are grateful to have had the opportunity to build meaningful relationships throughout the region while remembering the children lost in the Holocaust in such a beautiful way.